It's the final North American Nintendo Download Update before Halloween, so naturally there are a few spooky options this week. On 3DS there's a much anticipated retail release, while the portable's eShop has a couple of enticing options for creative gamers. The Wii U eShop has a multiplayer exclusive and a Ubisoft retail title, with some other options also available - let's get to the full rundown. Missed the European Nintendo Download Update details earlier in the week? Fear not, the information you need is right here. Ectoplaza (Syndicate Atomic, $7.99) - An award-winning Wii U exclusive that features chaotic local multiplayer action, with sling-shot mechanics at its core. There are three core modes and a variety of stages; we'll work on a review, but in the meantime you can learn a lot more about this one in our interview with the developer. Solitaire (Sanuk Games, $4.99) - This appears to be exactly as the name suggests, a version of the iconic office time-waster on the Wii U. Demonic Karma Summoner (GNOB Software, $3.00) - With pixel-based visuals, this is described as "a game about passwords, spells, platforming, and dressing demonic animals in kawaii clothes". Could be fun and weird, or weird and bad. We shall see. 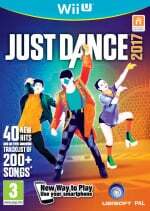 Just Dance 2017 (Ubisoft, $49.99) - This series of dancing games continues to go strong, giving musical movers a chance to show off to a variety of pop hits. This one has a demo available, too. 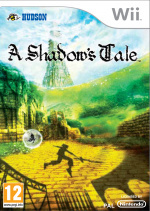 Lost in Shadow (Konami, $19.99) - An interesting arrival in the Wii download stakes, this stood out as a particularly intriguing 2D platformer during the last generation. It has some clever ideas that are put to good use, albeit with a few flaws affecting the experience; you can learn more in our original Lost in Shadow review. Butterfly: Inchworm Animation II (Flat Black Films, $5.00) - An impressive-looking follow on from Inchworm Animation on DSiWare, this new entry supports more complex tools and stereoscopic 3D. Whether animating drawings, stop-motion or a mixture of both, it looks to have smart features; you can even record sound effects. Perhaps most impressively it's going to have online sharing linked to butterflyanimation.com. PixelMaker (Nostatic Software, $2.99) - Having previously brought us VoxelMaker, Nostatic now takes a similar approach to producing pixel art. At a budget price this promises the ability to utilise the portable for producing scenes of pixel art, which can then naturally be shared to Miiverse. We enjoyed the Wii U version in our review. Box Up (RCMADIAX, $1.49) - In this title you try to guide a box up a screen (avoiding obstacles) in randomly generated levels. Corpse Party (XSEED Games, $29.99) - This is an updated version of a PSP remake of the original, with an extra four chapters also added. Don't let the convoluted source of this one put you off, as it delivers its own narrative-driven spin of mature horror on the 3DS. We enjoyed this in our Corpse Party review. As is now the norm, Nintendo of America encourages discount hunters to keep an eye on the Sales & Deals website and the eShop for the full line-up of reduced games. Back in my day when we wanted a Corpse Party we would make it ourselves. I still need to finish lost in shadow... maybe I'll pick up the download copy. Anyone know if the save data carries over? Well, I guess I'll never get to play Fatal Frame 5. I was going to buy it if it was on sale. Am I the only one who hoped for Majora's Mask for the Wii-U VC? So...who thought it was a good idea to make another version of Solitare to put on the Nintendo eShop for $5? Surprised there are no Halloween sales. Well... Was looking for deals to get Bayonetta2 and Majora's Mask, but, as usual, NoA disappoints. Box Up looks pretty dang fun, might get that. Why no can see discounts except at nintendo site? @SMEXIZELDAMAN do you mean you dont see them on the eshop yet? I love Nintendo, but Sony kicks their tail weekly in terms of online shop offerings/discounts. Picked up the 'Back to School Edition' of Corpse Party from Amazon. I listened to the soundtrack at work in my studio. Looking forward to playing it this weekend in-between setting up a 'haunt'/party at our house for Halloween and a last minute paid 'acting' gig for a haunted house. I also plan on downloading Ectoplasm. Should be fun for the party. This is going to be one interesting Halloween! @russellohh Thanks, it is from Wii mode on the Wii u, so hopefully it'll be fine. NoA drops the ball with no Halloween sale. Nothing for me, unless you count already owning Corpse Party and Lost in Shadow. @Ralizah the sale just isn't listed anymore. Check the eshop when it updates. I'm getting Corpse Party but getting it physically. Typically buy games digitally but I want the figures. Unless I decide to pick up the Wii version of Just Dance for novelty purposes. nothing for me. I'm getting an eShop card this weekend but I'm saving it for either Harvest Moon Skytree Village or a copy of Moon. not sure which one I want. I am buying two copies of Sun & Moon but they are for my three kids and me (eldest 2 getting Moon, my youngest & I are getting Sun). So not sure if I really need the copy of Moon. If you transferred data from your Wii to your Wii U then everything will be there from your save data and the games you made progress in. Once you download the game it will start up right where you left off. Disappointing week. Corpse Party is way too expensive for my tastes, I'd like to play it but waiting for a discount seems more reasonable. Once again, ZERO halloween suitable titles discounted in NA. Thanks Nintendo! I'm not sure what is more upsetting, the fact that Nintendo is once again pretty much the only one not running a Halloween sale, or that I absolutely did not expect to do something (anything really) like it in the first place. I wonder if we are ever (yes, I'm being literal here) going to see e.g. Fatal Frame on sale in the e-shop. I honestly hope the e-shop becomes attractive with the release of the Switch, otherwise, I'm not sure ... I'm kinda tired of pretending all of this is not annoying. I guess it was too good to be true for me to get 3 weeks in a row of games I wanted on virtual console. No N64 virtual console games or Fire Emblem: Shadow Dragon. I might be one of the few people who doesn't get upset when there's no unnecessary sale. I like sales, they're a good way to try something out that I might not for normal pricing. But my backlog is a monster more spooky than anything Halloween can offer. Lost in shadow for me! I can't find a retail copy in my area that isn't scratched to pieces. Really bummed we didn't get the Castlevania sale that our European friends did. This week is bad and not good but I've got plenty of VC to catch up on. The discount area is dead. @faint I looked on their website. There is no sale. A couple of discounts for some crummy looking games, and the usual Resident Evil discounts, but nothing else. No Castlevania. No Fatal Frame. Interesting choice Konami, but uh, we still desire some Castlevania titles, and Ghost Babel on 3DS. What a terrible Thursday before Wii U's final Halloween. No Halloween Sale Nintendo? Really? Meanwhile, both Sony and Microsoft are having Halloween sales on their platforms. 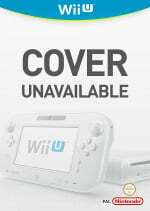 Does anyone at Nintendo truly know why the Wii U failed? Its more then just hardware, its stuff like this. Lost in Shadow! My favorite Hudson game. Such a dark game (no not because of shadows) considering it came from Hudson. Some of those memories of lost shadows really hit you in the feels. Of course I will buy it again. Although, I preordered my Wii copy using a giftcard I won in a contest. So I will buy it with my money this time! Another week, another week of no VC games for Snes, fail. I'm with the others who don't mind there's no Halloween sale. Corpse Party physical is 59.99 CAD and with my Amazon PRIME free trial (20% off new releases) plus $10 off code in my email, I was able to get the price down to 37.99 CAD for the Back to School Edition (eshop price is 34.99 CAD). @Clockwerk To be fair, even though the games that were out since launch are at full price, they have all gone on sale. I got both Super Mario 3D Land and New Super Mario Bros. 2 free through Club Nintendo and Paper Jam and Luigi's Mansion for $30 CAD in eshop sales. I feel like Switch will just have games from every single one of Nintendo's platforms, handheld and home console, past and present. I even feel they will port/remaster Wii U titles for it. I think they will do this with Xenoblade Chronicles X and Bayonetta 2 b/c for all the work that went into them, the small Wii U user base inhibited their full sales potential. No Halloween sale is such a bummer! How about something off of Luigis Mansion, or Castlevania, or Super ghouls and ghosts, or Shin Megami, or anything special. I already have RE revelations otherwise that would still at least be something. Nothing for me in the poll, though I may consider getting Year Walk since it's on discount. I've noticed a huge lack of quality in the 3ds Eshop lately/ 3 or 4 months of it to be exact. I thought that Chase Detective game would be good but was a huge bust. 45 minute mini Novel answering questions about what you had read. Hopefully soon we get some decent software. I know that Zombie open world game looks cheesy but with online co-op open world and a 3.99 price I'm very interested. Just saying though the shop is not feeling so grand lately. Anyone else notice this? @Windy I think it looks great considering it was made by one guy. Let's hope it gives us a nice surprise and it turns out to be quite a good game! I guess with the NS coming soon we get nothing for the forgotten platforms. You would think with the dip in software they would be making up for it with downloadable content. did I buy a new 3ds for nothing. Give me more snes games! Where are final fantasy 4 and 6. Dammit! sighs I wonder when we'll get the rest of the N64 games in here? @hendie001 i think what happened there was Nintendo figured we'd all buy a second 3DS just for SNES but then a combination of no 2-player, no one really caring that much about VC, and the console being $200 against an often-cheaper 3DS/2DS suppressed sales and now there's no incentive to bother making N3DS VC look any better. Portable Pilotwings is sweet though. I will give them that. Also no problem if horror games aren't your jam, but Corpse Party looks awesome at least? Yes it's $30 (lol) but it does look good enough to pick up on a sale (I'd probably have grabbed the physical if I wasn't already time-budgeting for Pokémon). I seriously cannot believe there is no Dimentium Remastered discount or even a Luigi's Mansion one.... yikes! Can I at least get a discount on some lotion for the burn?! @TerrapinJess Maybe it's not a super great discount (so if this was sarcasm just ignore this), but Dementium IS on sale for $7.49, down from $15. @World I definitely wasn't being sarcastic! But I do appreciate you pointing this out! I don't know why it's not listed above but I'm definitely going on to get it! Thanks and happy Halloween! No Halloween sale, I see. Looks like Reggie disappoints everyone yet again. @TerrapinJess Yeah, Nintendo started doing this new thing where they make you go to their page or the eShop to check out the sales. Other companies HAVE put up some offerings for Halloween, but not Nintendo (so unfortunately no Luigi's Mansion or anything like that). Thanks! Enjoy Dementium! Happy Halloween to you too!